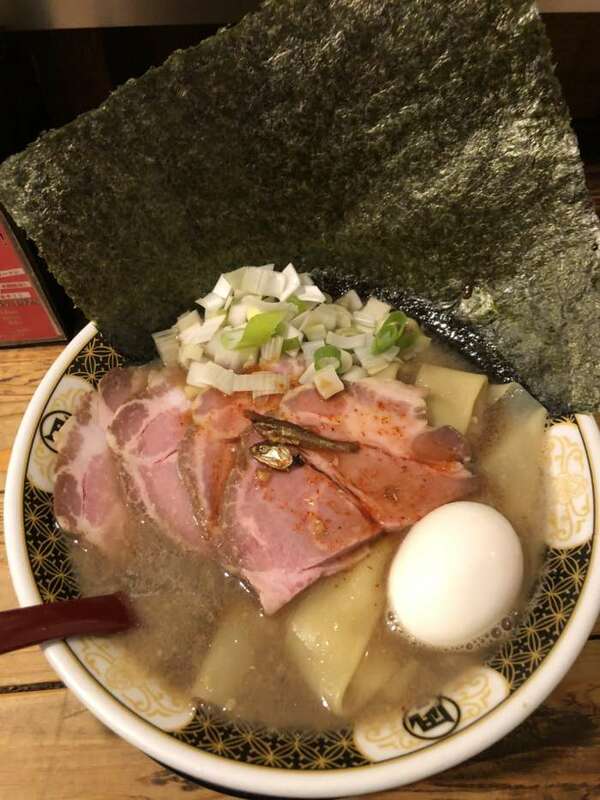 The name of the shop is Ramen Nagi and it’s located at the Shinjuku Golden Gai. There are over 200 tiny shanty-style bars, clubs and eateries squeezed into this area. This is one of the historical areas and sightseeing spots in Tokyo. 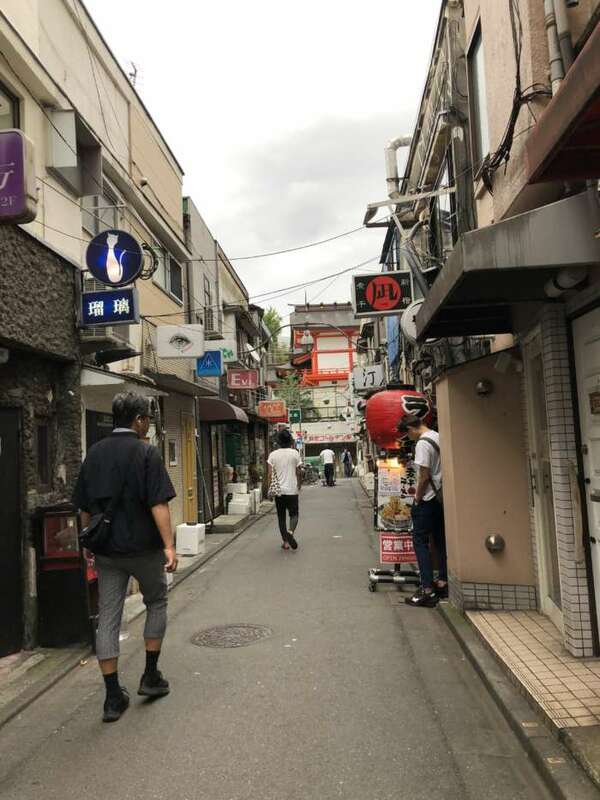 (More about Shinjuku Golden Gai, please check here.) When I visited, there was a long queue. I am always ready for this! No worries. 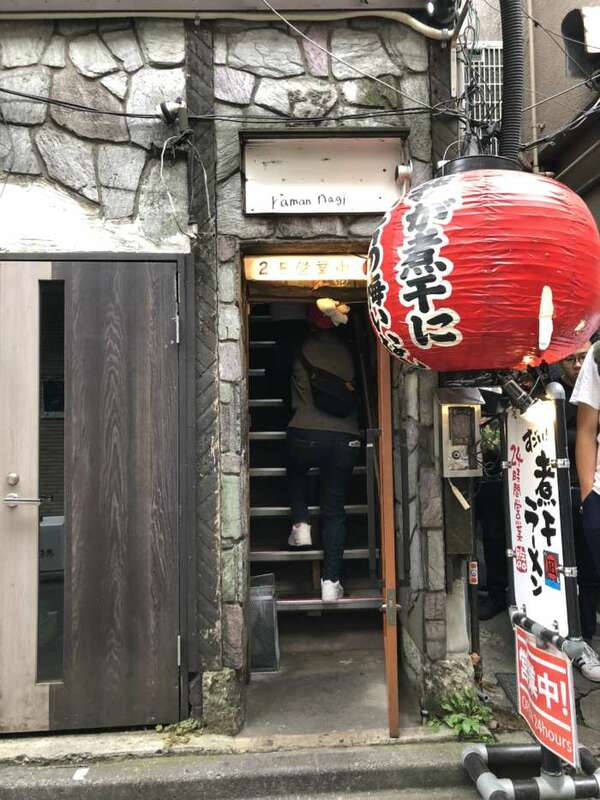 Since golden gai street is a place packed with 60-70 small bars and shops, all of us had to queue between the narrow alley just right next to the shop. I recommend to bring book, mobile phone or your imagination! After 45 minutes, I could finally enter the shop. Walking upstairs, I was guided to my seat. Same as other famous ramen shop, there were around 8 seats only. People sit down the chair, order, wait, slurp noodles really fast and leave the shop. So did I. 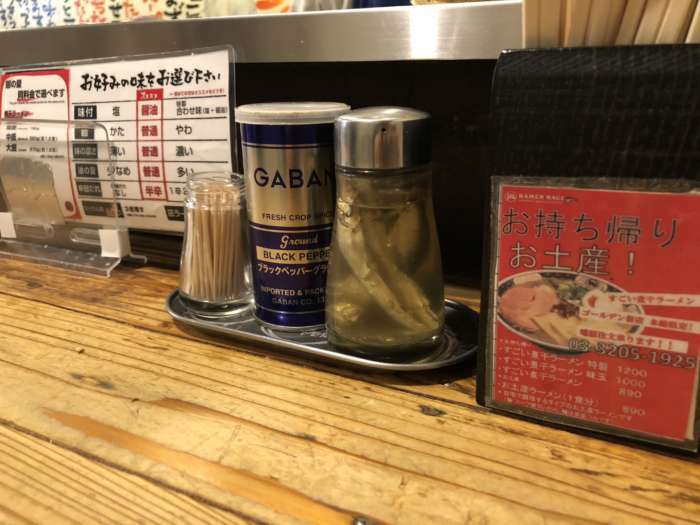 Their most popular menu is “Unbelievable NIBOSHI Ramen”. (I like the name of the menu, of course!) After ordering, I looked around the shop and found a unique seasoning on the table. It was a marinated niboshi! If you need extra niboshi oil, you can pour over the ramen bowl. A few minutes later, my ramen has come! 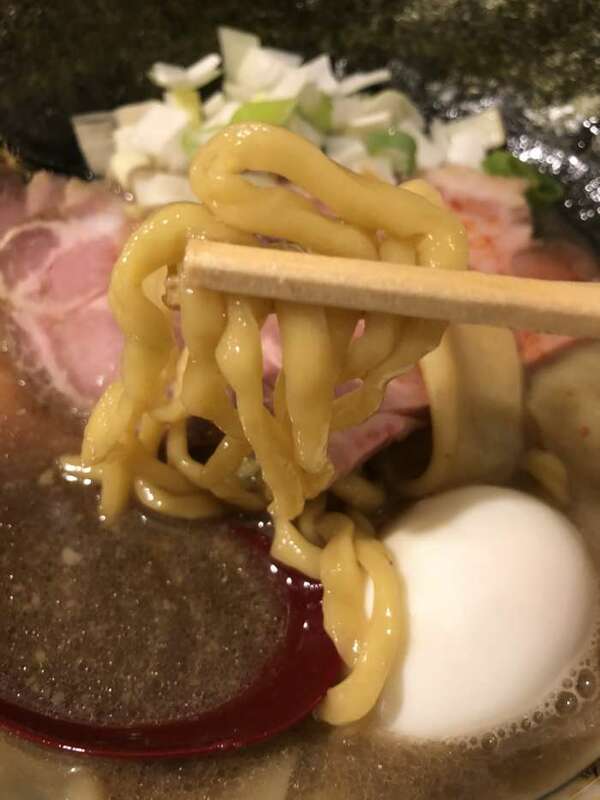 It was my first time to see niboshi on top of ramen. I usually sip the ramen soup and start eating. The soup had a full of niboshi flavors. I tasted more than dried sardine flavor so I checked their website. In Japanese home cooking, niboshi usually means a dried sardine but “niboshi” also means boiled and dried in Japanese. It seems they combine more than 20 different kinds of niboshi. 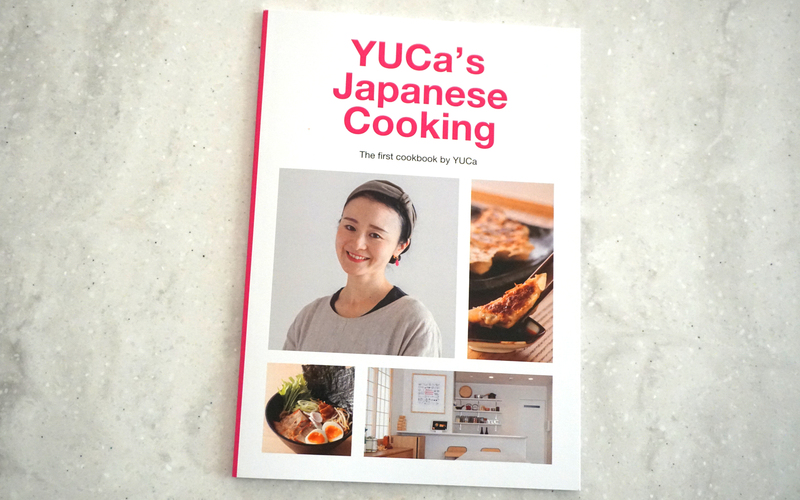 (If you are interested in, please check their website.) Noodles are medium and curly so it went well with niboshi soup. I enjoyed the unique experience at Ramen Nagi.